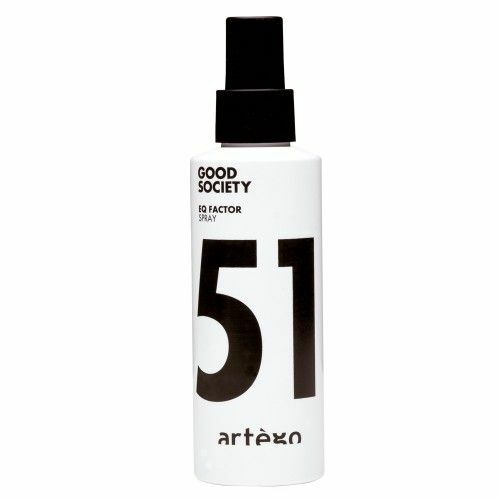 The Artego Good Society EQ Factor Spray is an absolute multitalent to keep the hair healthy. It unravels and makes stressed hair easier to comb, there is volume and balances the hair structure. Spliss is pre-bent. The Artego GoodSociety EQ Factor Spray seals the flake layer of the hair and protects it against UV rays and other environmental influences as well as fading the color. As a cutting aid in the salon, it keeps the hair moist and defines it. With the flowery scent of orchid and holly. From about 20 - 30 cm distance evenly on dry hair spraying. Loosen with your fingers.